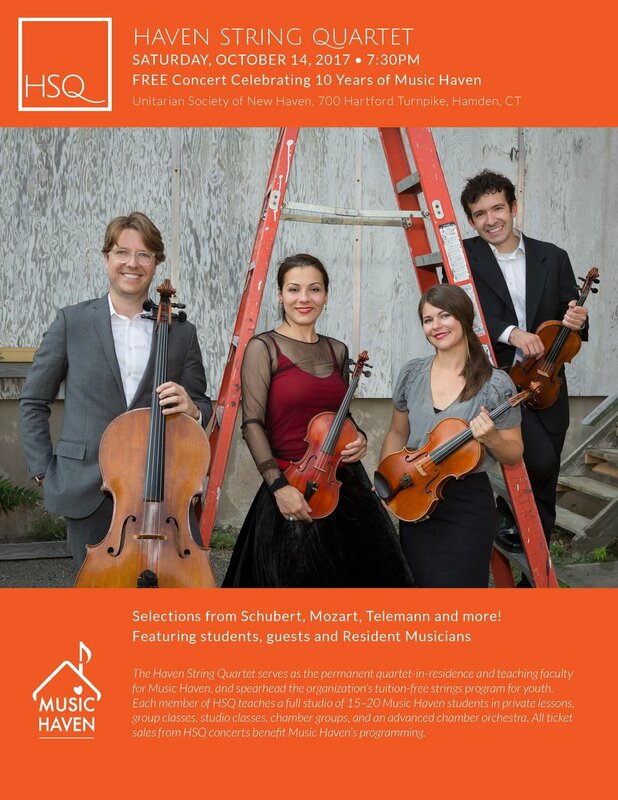 Join the Haven String Quartet for a free concert celebrating 10 years of Music Haven! Haven String Quartet serves as the permanent quartet-in-residence and teaching faculty for Music Haven. They spearhead the organization’s tuition-free strings program for youth, and each member of the HSQ teaches a full studio of 15-20 Music Haven students in private lessons, group classes, studio classes, chamber groups, and an advanced chamber orchestra. This concert celebrates 10 years of all this wonderful work from both our teachers and students.